For those of you that follow me on Instagram and Twitter you probably noted I’ve been tweeting from vacation. That’s right, B and I spent the Fourth of July long weekend in a romantic getaway in tropical Milwaukee! It was a great time – we were there during their music festival, Summerfest, and had such a great time. I love live music. So. Much. Wednesday night: We met up with some friends for the Orchestra’s free concert outdoors downtown and fireworks. We packed a picnic and enjoyed an amazing start to the holiday weekend. Thursday: B and I hit the road to Milwaukee. Our first stop, however, was a night in Chicago. 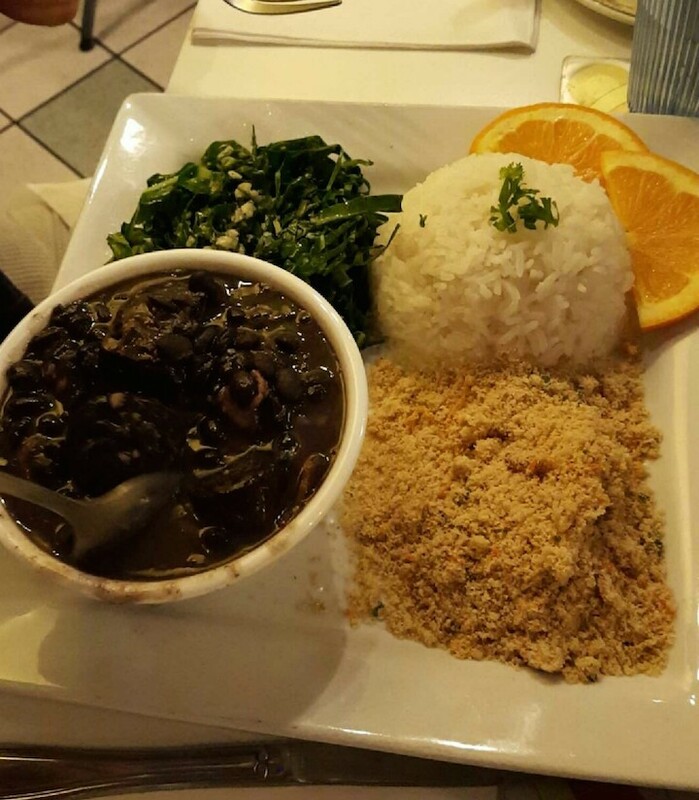 We met up with B’s sister and her boyfriend for dinner at a cute BYOB Brazilian restaurant. I ❤ farofa wayyyy too much. Friday: We started off Friday morning with a 5 mile scenic run around Chicago. 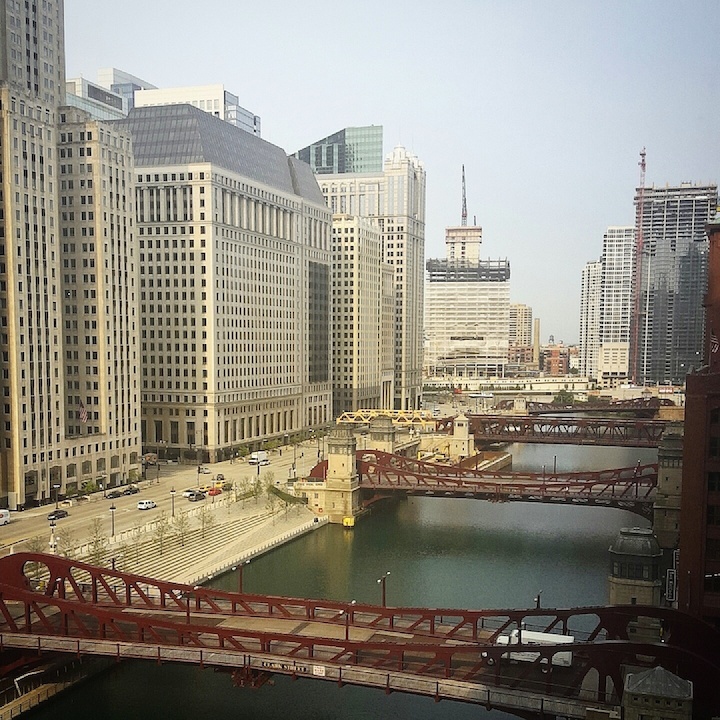 I love running in Chicago – I love the city and waterfront. Running along the water is so peaceful. Then, we were on to Milwaukee! We enjoyed stopping off at my second favorite cheese place – the Mars Cheese Castle – on the way. Once we got to MKE, we hit up Summerfest! So much live music. Love it. The night ended with some more fireworks. Saturday: We had a busy day! The morning started off with a run around Milwaukee. Again, loved running throughout the city and their lakefront. We also hit up some local coffee shops, the beach, Public Market, Historic Third Ward, and Summerfest again. We ended the night seeing Weird Al and Matt Nathanson. Matt Nathanson put on an amazing show, even doing covers – including Under Pressure! Then we got some coffee and pastries! Sunday: After a quick trip to the hotel gym and my first day off running in 40 days (my running streak ended 4th of July), we hit up the local coffee shop again and then were on the road for the long drive back. Scones – prefer them sweet or savory? Sweet all the way! Have you ever had cheese curds? What do you think of them? Linking up with Running N Reading and Her Heartland Soul today! So much fun!!! Scones – blueberry 100%. I don’t drink coffee because I’m weird : ) and I have never had a cheese curd haha. But for some reason, I have a sneaky suspicion I would love them ! Hope you have a great Monday!! What a fun weekend! Believe it or not, even tho I live in Chicago and travel to Wisconsin all the time (I went to Marquette), I have never been to the Mars Cheese Castle! I may have to stop and see what I’m missing! Wow, great job completing the 40 day run streak! I like my coffee black, and I’ve never had a cheese curd! Looks like a fun trip. Love Chicago (almost lived there) and LOVE Matt Nathanson even more! He puts on a good show! He was so good!!! Such a great time. Scones are sooo good! I think cheese curds are good but I wouldn’t eat them every day. Squeaky cheese is a cool thing to try if you haven’t had them before! Sounds like a great little vacation! I don’t drink coffee, never had cheese curds & I’m with you on the scones. Oh, my gosh, Melissa; what a FUN trip!! We should have just gone with y’all – ha! That view from your hotel was amazing and I’m so glad you were able to enjoy some great fireworks; no wonder you are ready for more time off. Okay, so I take my coffee (usually) with just a few drops of stevia and a little whole milk or cream; I can drink it black, but it’s not my preference. Um, sweet scones, please!!! I don’t guess I’ve ever had cheese curds, but I would definitely try them! Congratulations on finishing your RW Run Streak; that is awesome! Thanks so much for linking up with the blog; hope your week is off to a great start. What a super fun weekend! Y’all did so many cool activities. Did you take that fireworks photo? If so, you are a pro! It’s beautiful!